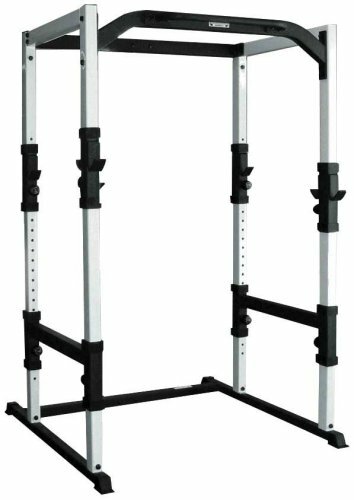 Features: Dimensions: 55" L x 50" W x 80" H x 30" D. Allows safe free weight training without the need for a spotter. Multiple bar hooks provide flexible use of benches for flat, incline, and upright positions. Chin-up bar in front. Hi low pulley and 200 lb. weight stack in picture are NOT included.